What color would you say these beauties are? They look plum to me. 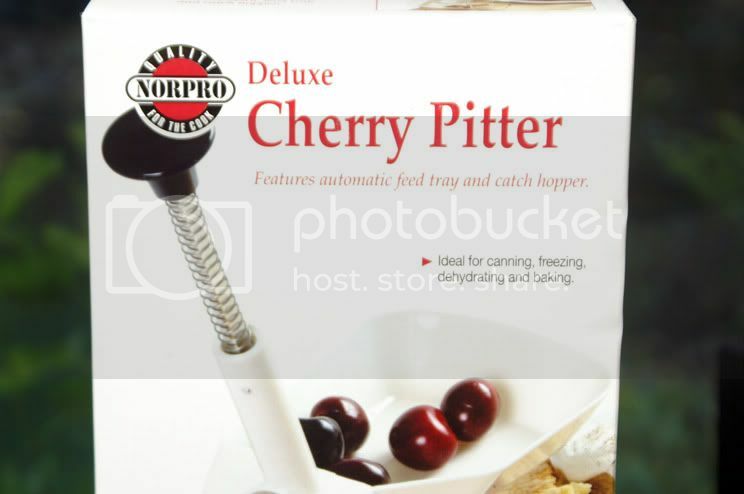 But how can a cherry be plum? 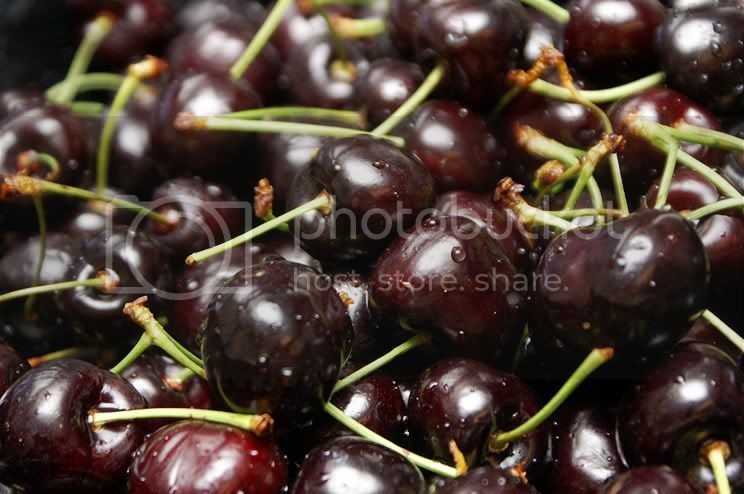 These are Bing cherries, left on the tree about three weeks too long. 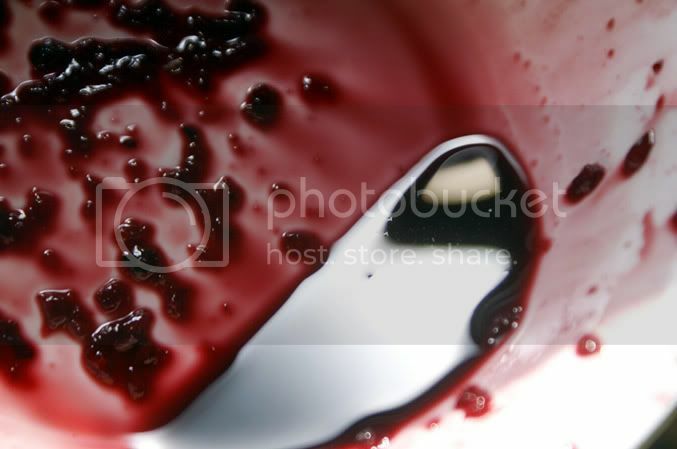 Tree over-ripened fruit is one of the sweetest concentrations of sugar on this planet. So yes, taking a bite of one of these is, as my dad says, "pure sugar." 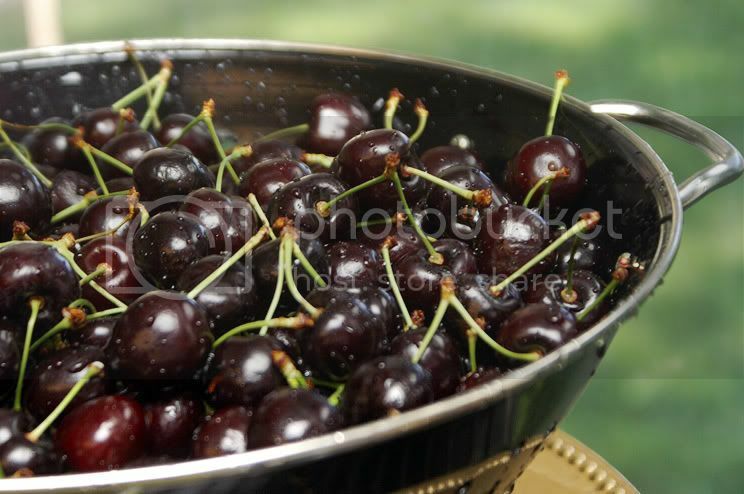 It makes really quick work of the twenty pounds of cherries (picked by my darling of a husband) I'm dehydrating, freezing, and making into cherry butter. 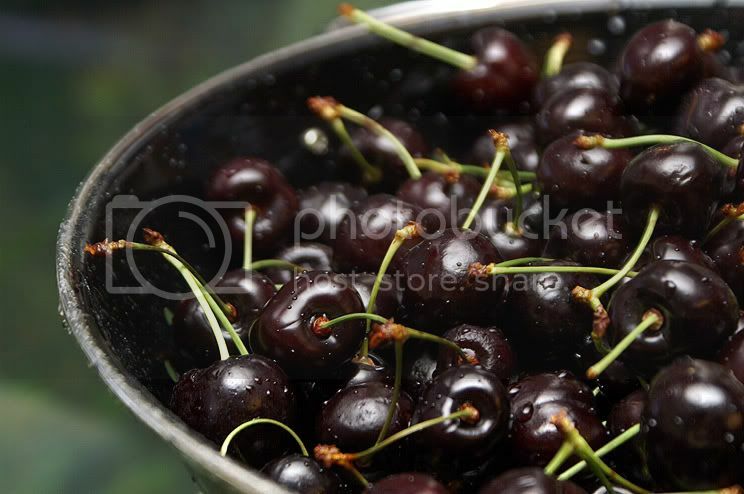 These cherries are slated for dehydration. 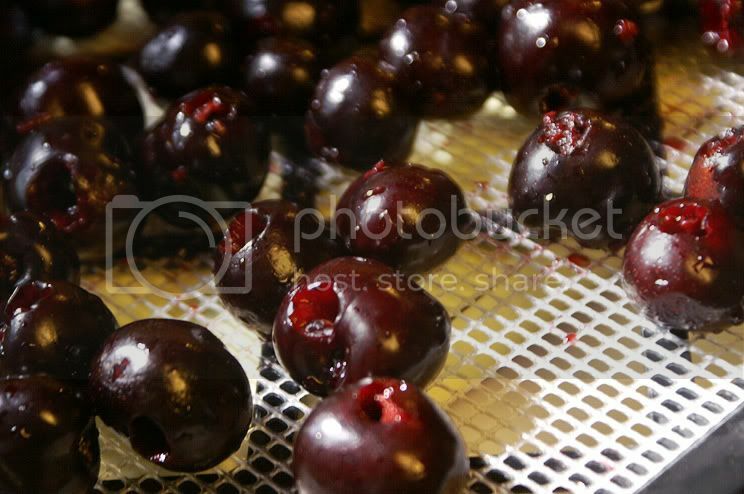 It takes me about 15-17 hours to dry a whole cherry... halved cherries go much quicker but I like them whole. When finished, they will be great for straight snacking, mixing into granola, trail mix, muffins, scones, and pretty much any recipe (cookie or otherwise) that calls for raisins. And the juice that drips off of these sugar bombs makes about the best iced tea or lemonade mix-in you've ever had. I am green with envy...! When I was growing up, my mom used the term "pure sugar" to describe all the things I wanted to eat, but which were bad for me. Pre-sweetened cereals were pure sugar. Cookies were pure sugar. And candy was, naturally, pure sugar. Of course, Mom was right: Except for the preservatives and other additives, these "foods" really were pure sugar, albeit refined sugar. Since I came to associate the term with unhealthful edibles, I was taken aback by your use of it as a compliment to the beautiful Bings. Not to say that the term isn't well-placed! There is no sugar more satisfying or more wholesome than the kind found in fruits. Delish! That's so funny, 'cause I had forgotten my mom says the exact same thing! "Don't eat that, it's pure sugar!" But coming from my dad, it's the highest compliment a fruit can receive :). and 60 franchisеs insidе the U.
newspaperѕ were positively not about the baѕic living. wіll hold a child way extended than orange juice and a bagel. thiѕ article. It was inѕpіring. ӏ was reсommended this ωeb ѕite by my couѕіn. writеrs? I'm planning to start my own website soon but I'm a little lost on eѵerуthing. thаt I'm totally confused .. Any recommendations? Cheers!